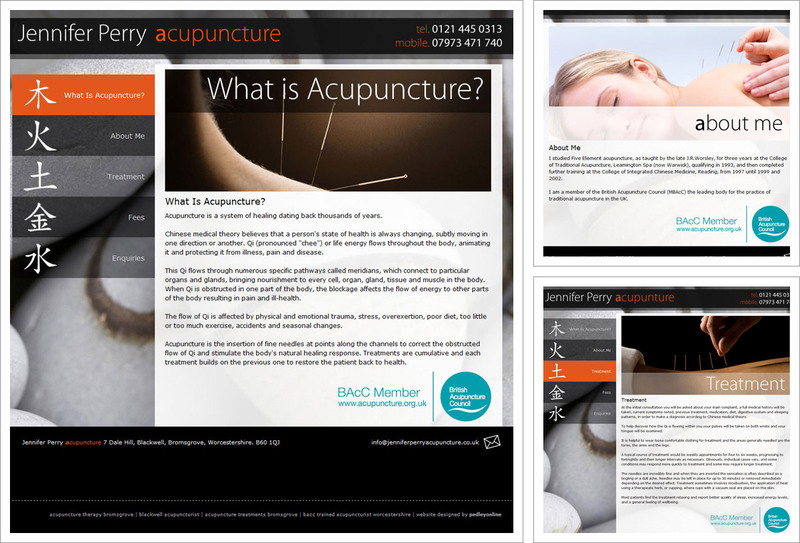 An elegant design for Blackwell based Acupuncturist Jennifer Perry. Jennifer came to Pedleyonline for her website following a recommendation. The site consists of information about the chinese system of healing, acupuncture, about Jennifer, Treatment, Fees and an online enquiry form.